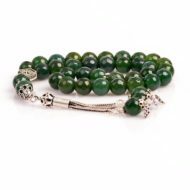 100% Pure, Real, untreated and of very best quality Black Yemeni Aqeeq 33 Beads Tasbih! 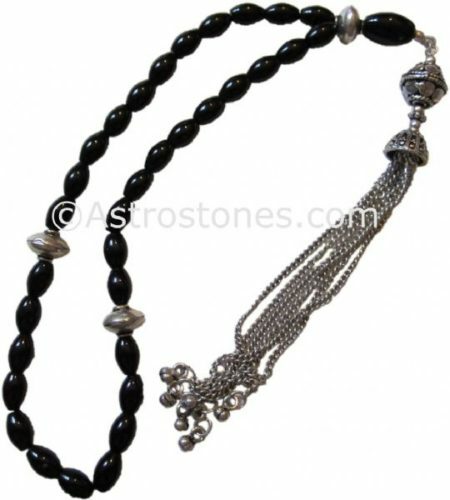 Black Agate brings the Great Spirit into one’s life. Attracts good fortune. Increases concentration and clarity. Promotes good will. Aids in overcoming flaws, fears, and loneliness. 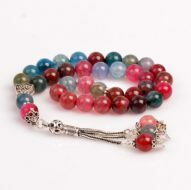 Has a calming effect during times of stress. Gives a sense of strength and courage.